After almost a decade in the newsroom at a CBS affiliate, and another 4+ years as a marketing guy – inbound marketing specifically – I’ve realized I learned some great lessons from my time in the trenches. When you hire smart, driven people and empower them flourish in their skills and desires, your team will be unstoppable. Squashing talent is a lonely world to live in, and a terrible way to do business. Let your talented people help get your message out there. Empower them to help spread the love. 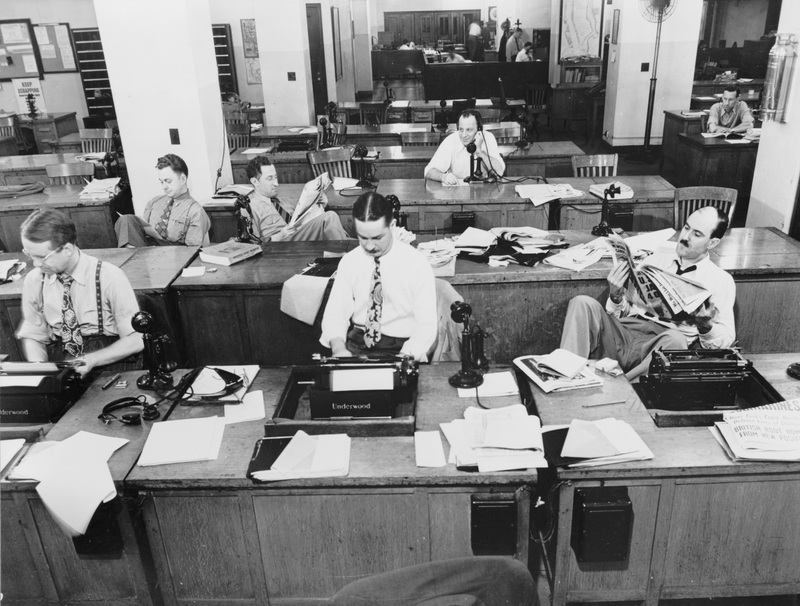 Newsrooms can often be incubators for oppression. I’m not sure if it’s a fear of losing one’s job to the up and coming producer or the young reporter, but it’s hard to get ideas heard and validated. Don’t be that kind of business owner or leader. Let your marketing team, that understands social media, teach you the benefits of it and the way of the new world, like AmeriFirst Home Mortgage has done and continues to do as we grow. Even though callers to the newsroom would complain about “all the negative news” shown on TV, the most popular and shared articles online were about car crashes, child molester and embezzlers. Even if you think you know your audience, they may not know themselves. You can track your online visitors to see where they came from, what they downloaded or viewed, and what they like. This tracking and testing can help you hone your marketing department into a finely tuned revolutionary machine. In the last few years heading up the Welcome Home Marketing Team at AmeriFirst, I’ve tested everything from call-to-action button colors to using personalization in emails to smart (dynamic) content on the website. We’ve tried “how to” articles, lists, infographics, videos, big pictures … content testing can help you find the best-converting material for your leads. Test, test, test. Gone are the days of “Always Be Closing” … we’ve ushered in the era of “Always Be Testing.” Let’s be scientific marketers! Because of these 2 lessons, the “How I Turned Journalism into an Inbound Marketing Career” eBook is newly re-dsigned! Thanks to Janna – The What If Monster – it looks amazing! Check it out at the link below and please share with companies looking to hire a “new” marketer… and journalists looking for a change! This entry was posted in inbound marketing and tagged inbound marketing, marketing, marketing lessons on April 14, 2015 by danmoyle.